The Tri-Strake Combi are a high quality, cost-effective VIV suppression system. 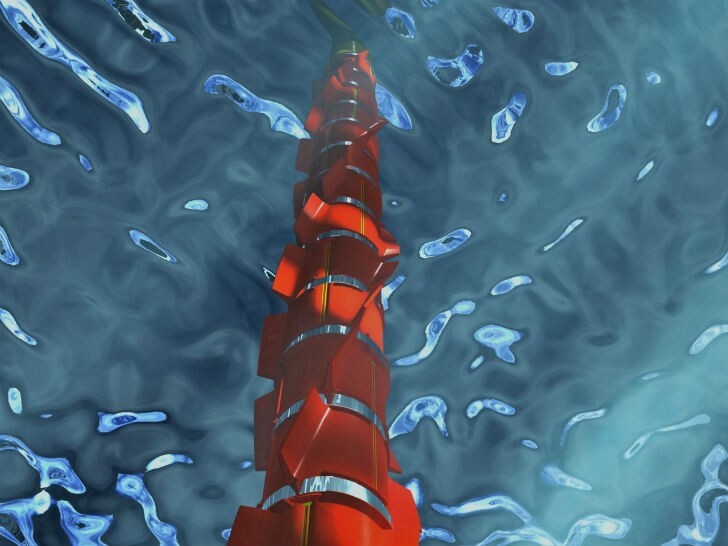 Trelleborg’s offshore operation has launched an innovative new vortex-induced vibration (VIV) suppression system. The Tri-Strake Combi, developed to complement the high performance S-Lay capable Tri-Strake Stinger system and the cost effective Tri-Strake Lite system, not only eases installation but provides added resilience and load bearing capacity, including stinger installation loads. Trelleborg utilized its vast offshore and VIV knowledge in the design of the Tri-Strake Combi and carried out extensive computational analysis and physical testing. The system’s lightweight construction provides operators with a simple and rapid assembly method. While the customized high endurance material selected for the system not only provides added resilience and load bearing capacity, it also eases installation. Trelleborg’s innovative manufacturing process also means that the Tri-Strake Combi can be produced up to three times faster than systems manufactured using traditional techniques, reducing tool turnaround and manufacturing times. Fox, added: “The Tri-Strake Combi was developed in response to market demand for a high quality, cost-effective VIV suppression solution. Using an established manufacturing technique we were able to meet these demands by using rapid manufacture leading to quick installation times and reduced transportation costs.